On the blog "Confessions of a Terrible Husband," Nick Pavlidis shared about how to have an argument-free marriage. 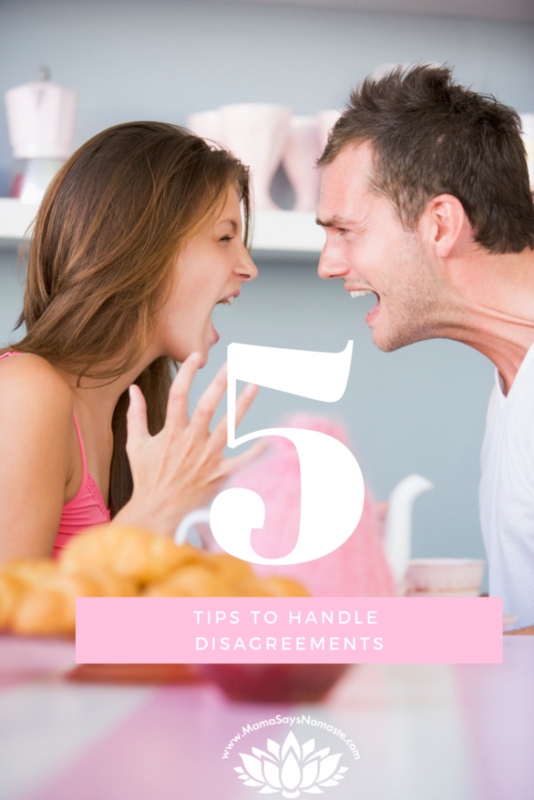 My first inclination is that a marriage without disagreements isn't a very deep one. However...I then read deeper into it and realized that the issue at hand is not about disagreeing - it's about the word "argument". Well, that does it. I sure don't want to argue in my household. What that states is there is clearly a win-lose situation. 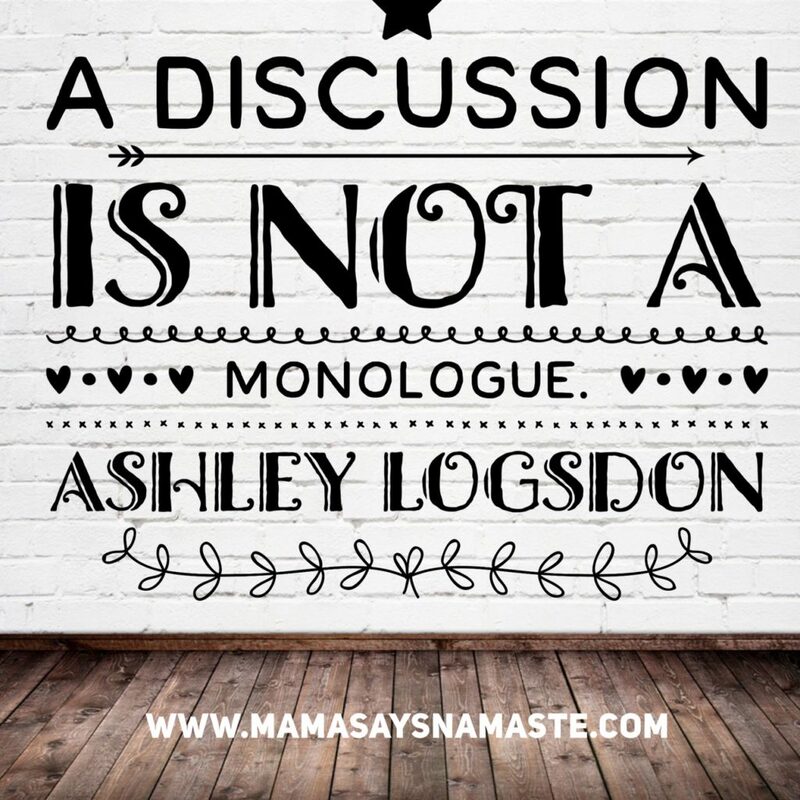 An argument is closed; a discussion is not. 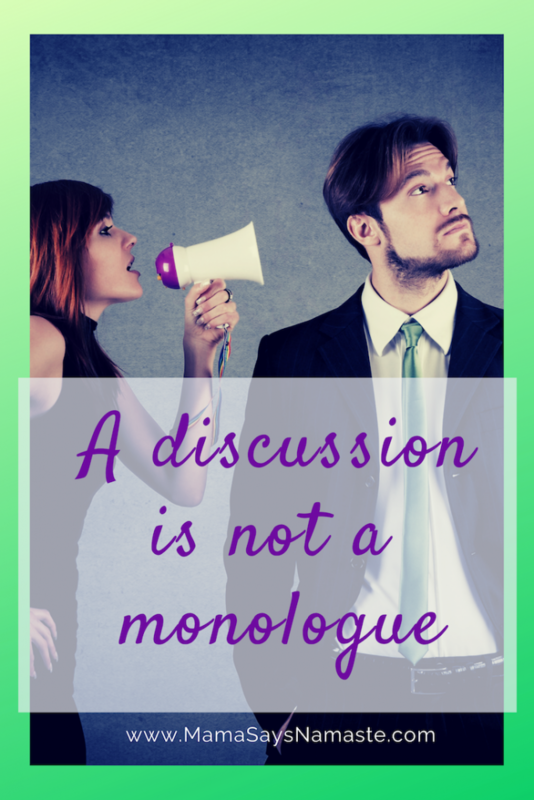 When you discuss, you exchange views and opinions while flowing back and forth in conversation. You allow for insights and growth, and it is a two-way street. 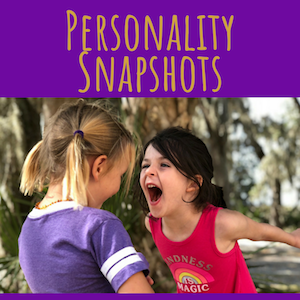 In my work with helping families connect with one another in deeper ways, I focus a lot on understanding personality styles and how the uniqueness in each of us strengthens all of us. Understanding how we are all uniquely wired is a critical component in figuring out how to communicate in a way that the other person can resonate with. For example, although I am happy to just get to the end result and "fix it," my husband wants to talk it out a bit. His healing and understanding is more due to the process of me listening and investing in him enough to hear him out vs. just jumping to the magic pill solution. So, How Do We Approach Discussions? Remember what makes them tick. 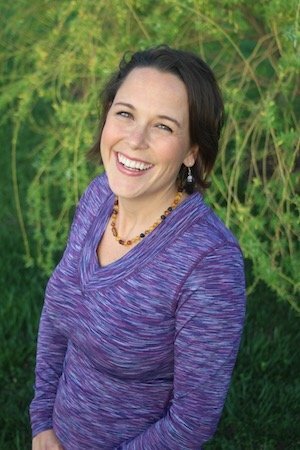 I love the Namaste Personality Snapshots and share about the gifts and fears of each style. When we play on a fear a person has, they immediately go on the defensive. Any strength, when overused, can trigger a negative reactive behavior. And when you do or say something that triggers a fear, like a loss of security, criticism, or they feel like they are taken advantage of, then you will see their weaknesses rear their ugly heads in a way that definitely creates a losing battle. We all have ways in which we are motivated - positively and negatively. The more you openly discuss this with your spouse, and learn what shuts them down or gets them riled up, the more you are equipped to communicate in a way that heals instead of hurts. When you feel so mad, that you want to ROAR... My sweet daughter Ellie did a video on how to deal with being mad, and the song is super catchy and an easy practice for all of us. Major kudos to Daniel Tiger for teaching my girls some excellent tools for dealing with daily life issues. 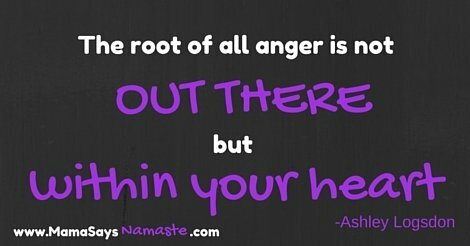 Bottom line, if you are angry enough to say something you will regret, take a step back and a deep breath in. Don't run away from a fight. Simply communicate that you need a breather to think clearly, and commit to coming back to a discussion instead. Our feelings are powerful and fully valid. Yet when we want to communicate our feelings to others, we need to allow for a balance between heart and head and use some wisdom with how to communicate them in a way that doesn't attack. Take center stage, and own it. After you take that breather, allow for a moment to speak your peace, and let your spouse do the same. Don't monologue it out, and don't attack. Explain what you feel; not what they did. Explain your own emotions without playing the blame game. And then, shut up and let them do the same without defending anything. Remember that you have no power over someone's feelings. 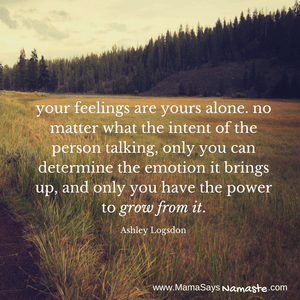 Regardless of what emotions are brought up, you can share your feelings, and then make a conscious decision on whether you are going to allow those feelings to foster negativity or growth in your life. Feel it, voice it, and let it go. Choose to grow. 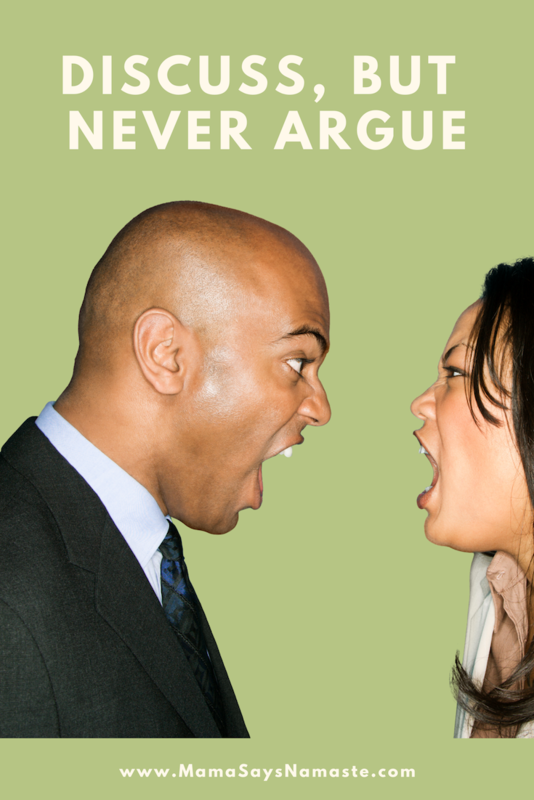 Disagreements should be a part of a marriage. It shows that you have two people with independent minds in the relationship. Growth comes from being able to learn something other than what we think in our own heads anyway! On the wall in our kitchen I have scrawled this quote from the Dalai Lama. Feel free to disagree. But please, don't let it become an argument. What tools do you use to keep heated conversations from erupting into a forest fire?